As the New Year starts so does the long list of new year resolutions, one of which should definitely include more travel! What better way to kick start the new year than to travel Australia? Buy cheap flight tickets to one of the following destinations to discover the magic of Australia. And don’t worry, our ATAS agents have plenty of tips before you travel, to make sure everything goes according to plan. You cannot take a trip around Australia without visiting Sydney! Aside from the beautiful city views, and its access to the coastline, there is so much to see and do in Sydney. Sydney is indeed one of the hot spots to visit in Australia, and it’s easy to see why this city is a favourite destination amongst tourists. We recommend checking out the local markets down in The Rocks area along Sydney Harbour, the famous surf at Bondi Beach or head over to Taronga Zoo to meet up close and personal some of our beloved native animals. And of course, don’t forget the majestic Sydney Opera House, a UNESCO World Heritage site, where you can catch a show, take a tour or simply enjoy a cocktail soaking up the view at Opera Bar. Sydney is also known for its great nightlife, but after a long day of exploring the city, treat your tastebuds by sampling some of the local fresh produce with one of Sydney’s world renowned chefs including Peter Gilmore at Quay, Matt Moran at Aria or Tetsuya Wakuda at Tetsuya’s. Being the second most populated city in Australia, you can’t travel Australia, without stopping in Melbourne. The city if full of wonderful Australian experiences; it’s the land of opportunity after all! For the shopping addicts, Melbourne is the heart of fashion in Australia, hosting the annual Melbourne Fashion Festival which celebrates Australian designers, new start designers all over a week of catwalk shows, special events and many sales in-stores, it’s the perfect time to stock up! A stroll around Collins Street is where you’ll find high fashion boutique retailers or down Chapel Street in South Yarra for locally made jewellery, right through to the outlet superstore DFO South Wharf at Docklands. Melbourne is your one-stop destination for restaurants, sporting venues, and crystal clear waters - you may never want to leave. So, do not wait any longer, buy a flight through a travel accredited agent and head to Melbourne, the unofficial Australian capital of dolce vita! Being the largest sand island in the world, the ideal way to explore this isle, with a four-wheel drive (self-drive or on an organised driving tour). No matter the choice you’ll be welcomed with peace and quiet enabling you to fully relax alongside the crystal-clear freshwater lakes. Enjoy your pick of spots, with only around 200 people populating the island. Enjoy a hiking trail, to bring you to one of the secluded lakes, guaranteed to make you feel like you are the only person in the world. It’s no wonder that Fraser Island is one of the top Australian holiday destinations. But before you leave, make sure you have everything in order thanks to this pre-departure guide. If you plan to travel Australia this year, make sure you try the Great Barrier Reef. Being the largest coral reef in the world, and part of the UNESCO listings, it is definitely worth the visit. Created long ago, you will have your breath taken away by the natural beautiful. Enjoy over 2,900 coral reefs. Surrounded by hundreds of islands, it is also one of the most diverse ecosystems in the world. A trip around Australia would simply not be complete without a stop to the Great Barrier Reef. 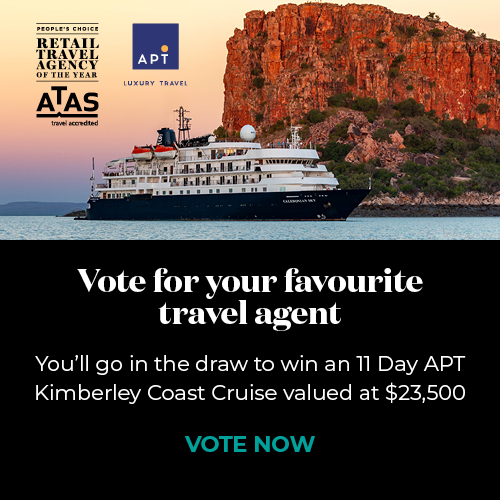 If you have decided to buy a flight to #4 of our destinations through an ATAS accredited travel agent, then you should pair it with a relaxing weekend in the Whitsundays Islands. Made up of 74 islands, you’ve got plenty of places to choose where you’ll relax and enjoy a cocktail, or in case of doubt, just switch islands in between drinks. Enjoy the secluded beaches and friendly towns around. A little corner of paradise is all you need to end your Australia holidays. Whether you enjoy visiting a vibrant city, relaxing in a paradise-like haven or simply need a holiday but short on time – there’s sometimes no need to take an international flight when you have all of this here in your backyard. Before you jet-set overseas again, plan to travel Australia! You’ll discover why it is one of the top tourist destinations worldwide every year.